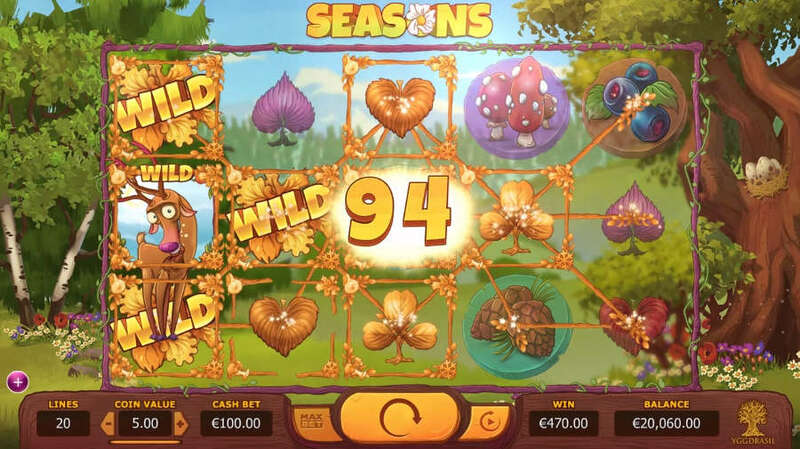 Heres a superb new online slots from the team at Yggdrasil Gaming. For whoever hasn’t been living on planet earth for the last millennium, the seasons represent each quarter of the year. Depending on where you live in the world and the Earth’s current ‘rotation’ will depend on what season you may be in. Generally speaking, each season represents different factors and stages of the year: Summer represents the warmest quarter of the year, Autumn highlights nature’s decline, Winter showcases the cold and Spring presents new life. 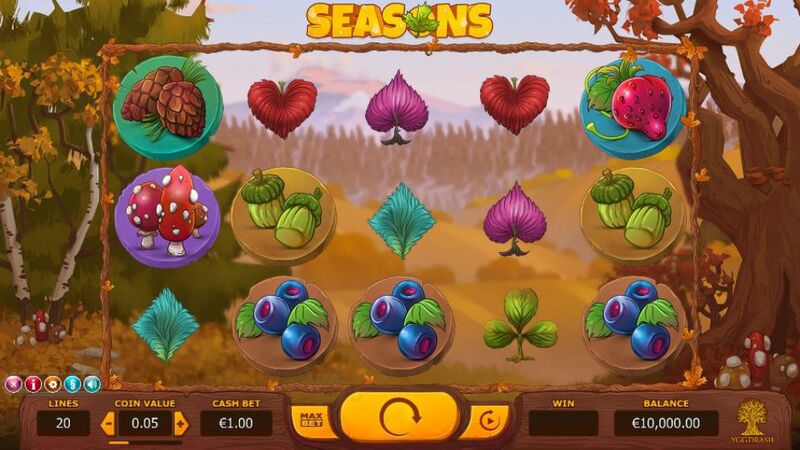 The seasons may date back to ancient times, but don’t worry our slots game ‘Seasons’ is fully up to date and the bonus rounds are available all year round. spin the wheel today! Here at Easy Slots, we have a wide range of uk slot games by Yggdrasil Gaming. · A free spin, this allows you to have a go without paying credits and is a fantastic way to add to your prize. · Expanding Wild symbol, this wild symbol will expand normally by one position to its left, right and horizontally either way. Read more about casino by mobile and claim your free spins, join & spin now!